Get going with this majestic and wonderful piece and make your dream attire look richer to your persona. 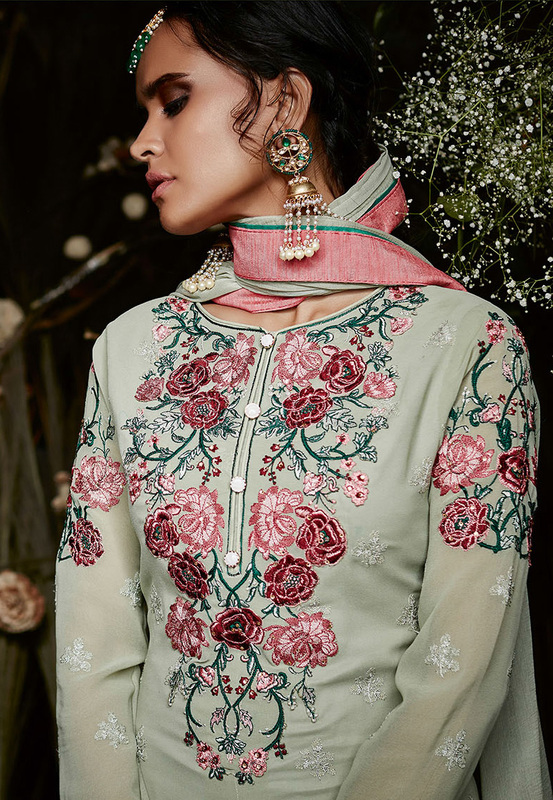 We unfurl our the intricacy and exclusivity of our creations highlighted in this unique light mint green colored embroidered suit. 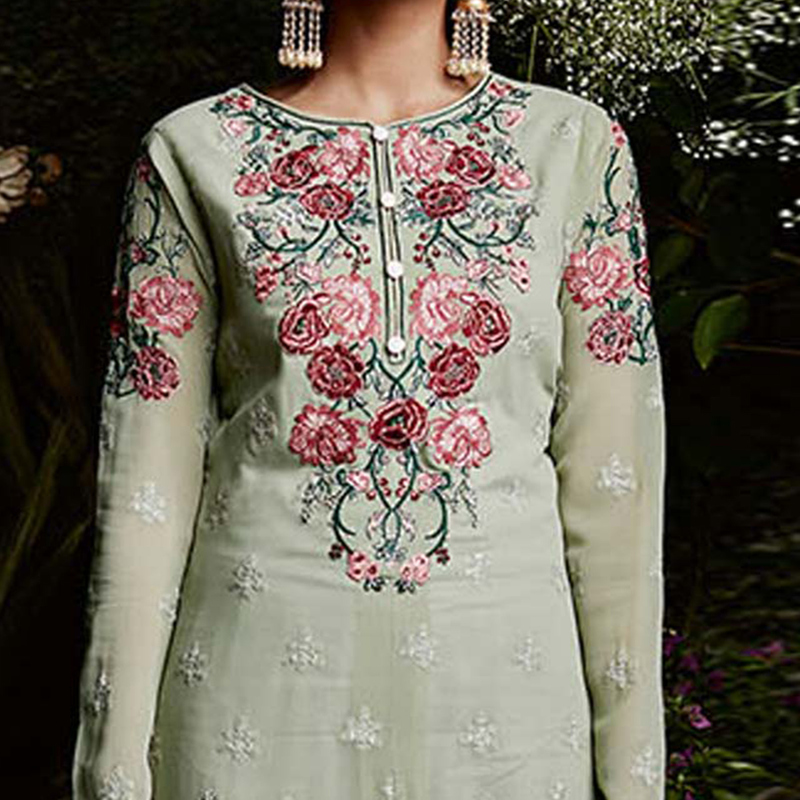 This beautiful designer suit is prettified with lovely thread embroidery which makes it appear classy. The top is made of georgette accompanied with dull santoon lining and bottom, along with chiffon lace dupatta. Women can buy this designer suit to wear for their upcoming functions, festivals, wedding functions or engagement ceremonies and occasions. Team it with stylish accessories to make your looks more beautiful.